Abu Dhabi Global Market (ADGM), the international financial centre in Abu Dhabi, has announced that the World Bank will be setting up its UAE office within its premises on Al Maryah Island in the emirate. Serving as the World Bank’s platform in the UAE, the new bureau will exercise its full functions including the facilitation of research on relevant policy issues, providing technical assistance to local governments on appropriate sustainable development programmes, and supporting initiatives that increase shared prosperity, said a statement from ADGM. The agreement was signed by Issam Abousleiman, the country director for the GCC countries, World Bank Group and Khalid Al Suwaidi, the chief operating officer, ADGM in the presence of Obaid bin Humaid Al Tayer, Minister of State for Financial Affairs, Merza Hussain Hasan, the executive director and dean of the board of the executive directors of the World Bank Group; Ahmed Ali Al Sayegh, Minister of State and Chairman of ADGM; and Ferid Belhaj, Vice President Mena of the World Bank Group, during the World Government Summit 2019. Lauding the move, Al Tayer said: "We welcome the World Bank Group to the UAE and congratulate them on the decision to set up its office in Abu Dhabi with the Abu Dhabi Global Market. 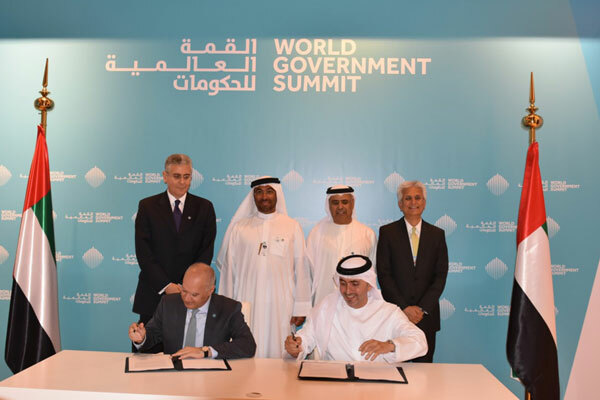 As a global business hub and corporate citizen, the UAE can relate to the World Bank Group’s commitment to create sustainable economic growth and improve the well-being and livelihood of the communities across developing countries." "We will continue to work closely with like-minded authorities and organisations to share knowledge and promote innovative solutions that will address the growth and needs of the UAE and the neighbouring region," he stated. "The UAE has been a strategic partner of the World Bank Group on various levels. We are grateful to the government of UAE and ADGM for supporting the establishment of this office which will help us strengthen our partnership," remarked Belhaj. Commenting on the announcement, Ahmed Al Sayegh said, "The establishment of the World Bank office in ADGM and their strategic mission resonates with our commitment to foster greater capital formation, drive sustainable financing and investments towards the long-term economic growth and development of the community."